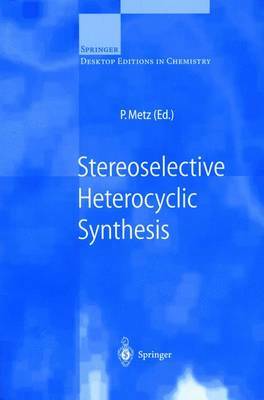 This volume presents exciting new developments in preparative heterocyclic chemistry with a special emphasis on the stereoselective synthesis of - or with the aid of - heterocycles. A wide range of modern methods and strategies for the construction and synthetic elaboration of versatile heterocycles is surveyed in depth by leading researchers in this field. Due to the high quality and up-to-date coverage of each chapter, this volume provides a valuable overview of the different aspects discussed and will at the same time be highly inspiring for the expert synthetic organic chemist as well as the non-specialist reader.